As promised I'm going to write about how to beat a comp that was giving us problems these last couple weeks, warlock/healer. Traditionally in 2's if there's a healer you go straight for them. I interrupt the heals and the warrior beats them into submission! When it's a warlock though, this strategy has been a big FAIL for us. Despite my partner's high DPS the constant fear's the lock puts out doesn't let my warrior partner put out enough sustained damage, giving their healer a much needed break to heal to full. Our next though was for me to CC the warlock and the warrior continues with the healer. Unless the healer is very squishy, it's a fail again. I have about 9 seconds of CC followed by a 11 second break. Easily enough time for that fear to strike, especially with resilience keeping the healers up longer. So we moved on to the Warrior beating on the warlock, and me CCing the Healer. WIN ! With me interrupting the first two heals the warlock is usually pretty low on health, forcing the healer to spend precious mana on large inefficient heals and/or blow a trinket to get out of one of the stuns. 11 seconds later I rinse and repeat. If we're especially lucky the warlock panics a bit and LOSes his healer allowing a quick victory, if not my excellent mana use/regen allows us to win a protracted mana war, since the healer is feeling too pressured to start mana draining or CCing me too much. We use a similar strategy with Druid/War to kill Lock/healer. With enough pressure ont he lock and some cc on the healer we can get a kill on the lock pretty consistantly (sometimes cycloning when their partner uses cooldowns (a.k.a pain supp/bubble/sac so that the lock recieves no heals :] ) The start of the fight we always try to burst the felhunter and cc the healer, do that twice and you got urself one easy match. As for taking out a druid switching targets is a way to go, if I (resto druid) have to keep hotting me AND my partner I will go oom eventually. If i only have to heal one person my mana will stay up for a long time. The best I can think of to kill me (our strat vs druid healers) is to try and get the hots to stop, then burst. Without dispells it can be tricky but its doable. We have an easier advantge, I wait for a good crit that gets the target to the 50-70% range then immediatly cyclone them, then cyclone their parter after, hots drop and u have urself a weak target with zero incomming heals for a few seconds. Druids healing is mostly over time. 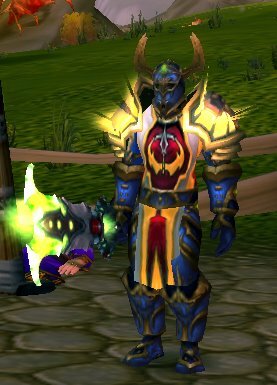 For a pally/war I would suggest a good timed fear to remove the hots or better yet if you were to go holy/ret, a repentance and stun would clear the hots and then give your dps 5 seconds to get him low to where hots wont save him in time. playing both a druid and priest has really made me appriciate both classes strengths and vunerability. Drunkenclod - WHERE HAVE YOU BEEN?